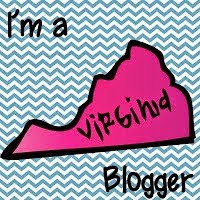 Flamingo Fabulous: Classroom sneak peak! Well, here it is.... the new room. 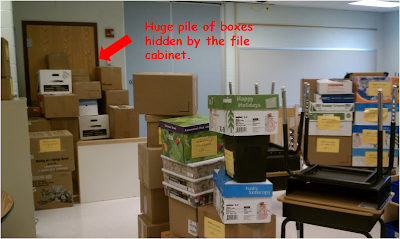 About 40 boxes were hiding in the corner behind the filing cabinet. Oops. I only had about 30 mins to stay in my room before meeting my tutoring students and that was just enough time for me to realize my goal of getting the room finished by Aug. 26th is not going to happen :(. It was also enough time for me to realize there is something wonky going on with the furniture in the room... This used to be a first grade room and that teacher went to another school. So any first grade stuff should have been put into storage or divided among her team. BUT there are 2 rocking chairs... neither of which are mine and I think they are a big waste of space. There are 2 filing cabinets... one is mine. First grade uses tables instead of desks so you would think they would trade out the tables for desks right? NOPE. I now have 26 desks AND 6 square tables! Two new elementary schools are opening in the area so we are down-sizing big time, which means storage space is extremely limited. My principal says that whatever is in the room must stay there. I thought this meant I would get some extra bookcases (you can never have enough bookcases). But what the heck am I going to do with all the tables?! 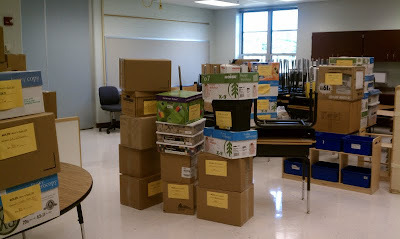 To give you a mental picture, my old room had just enough space for the desks, reading table and ONE square table. The room I'm in now is much smaller, with a closet half the size of my old one and I have SIX tables to get rid of! BOOOOOOOOOOOO. 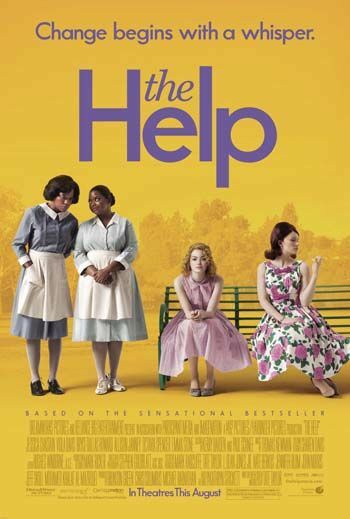 I just bought my tickets for The Help on Wednesday! Can't wait! I LOVED the book and I absolutely ADORE Emma Stone :).